Christmas festival is knocking the doors and cute Santa is all set to appear on our mobiles. 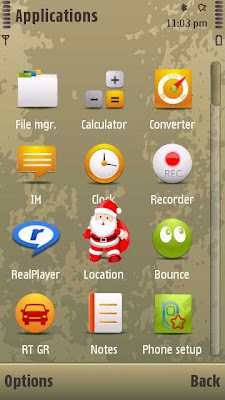 The new application called XMasAvatar will bring Santa Claus on your mobiles. Now you will see Santa Claus walking on your mobile screen. 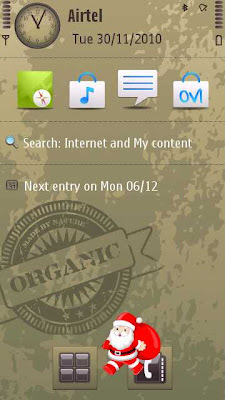 I have seen many similar PC based applications with such animations but this is the first one I am seeing on mobile. 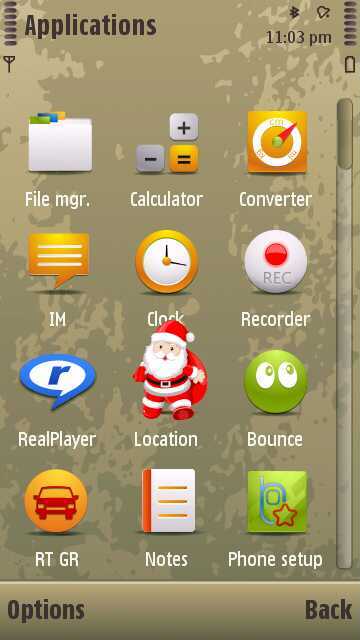 Cute little Santa Claus walking here and there on your home screen leaves a good impression. The app is perfect one to try. The application is configurable. The size of Santa Claus and the refresh rate can be set. You can also set “walking only on HomeScreen” or “always on screen” option in order to see the Santa as per your choice. 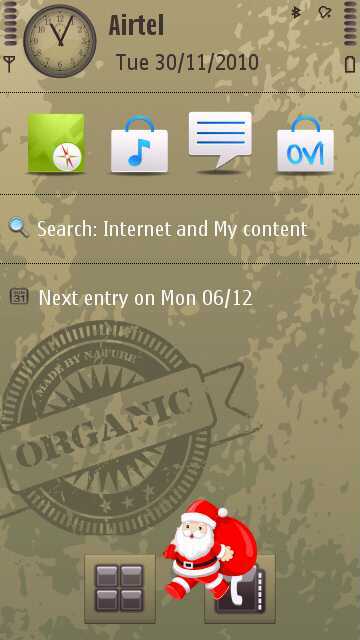 This application is developed by ThinkChange and it is compatible to works with Symbian S60v5 and Symbian^3 mobiles. 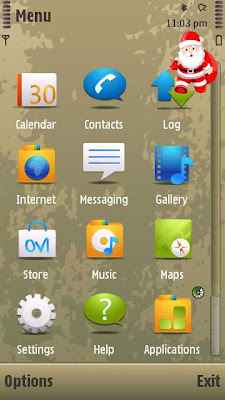 So If you Nokia 5800 XpressMusic, 5530 XpressMusic, N97, N97 Mini, X6, 5230, 5233, 5235, N8, C6, C7, Samsung i8910 Omnia HD, Sony Ericsson Satio and Vivaz, then you can use this application on your mobiles. Get the version 1.20 of XMas Avatar application now and enjoy the festival of Christmas.